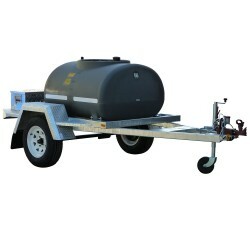 Safely transport your diesel fuel over large distances, or fill up your machinery onsite with Rapid Spray’s range of robust diesel trailers. 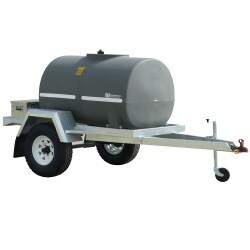 Built to the highest specifications and made with the end user in mind, our Australian-made diesel trailers come in a range of sizes and are suitable for the tradesman or farmer alike. 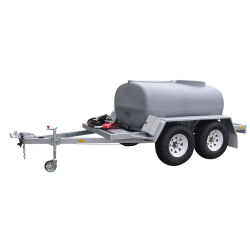 Whether towed by car or carried by truck or ute, Rapid Spray’s selection of quality diesel trailers are perfect when you need a transportable diesel rig for either the home, farm or to take between jobs. 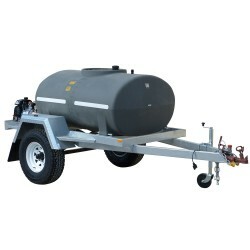 Our tanks are made out of the finest diesel grade polyethylene and our trailers from galvanised steel, giving you a tough and reliable diesel transportation rig that will last for years. 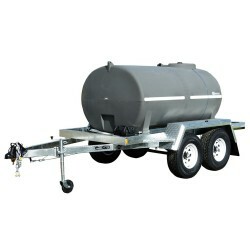 Our diesel trailers are also designed with safety in mind. 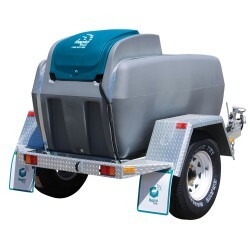 Earth straps are included to prevent the build up of static electricity when filling the tank and shut-off nozzles prevent accidental spillages and overflows. 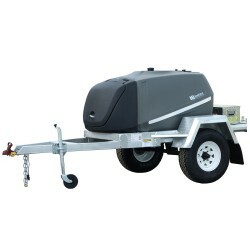 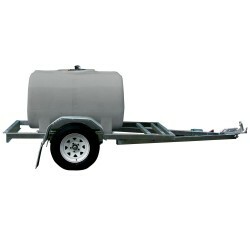 The trailer itself features great suspension, brake lights and hydraulic override brakes, to make your time on the road safe and comfortable. 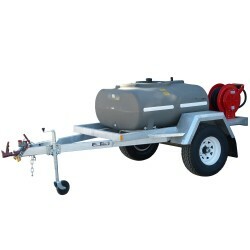 All units feature diesel lids with splash-resistant breathers – allowing the tank to vent without letting any moisture inside – and some models come fitted with high quality pumps, giving you a mobile, all-in-one diesel tank solution ready to go. 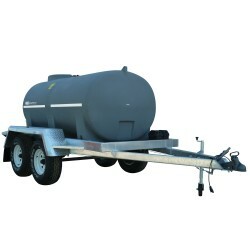 Available in a number of sizes, our trailers are suitable for a wide range of uses: from fuelling worksite and farm machinery such as bulldozers and diggers, to transporting fuel between sites. 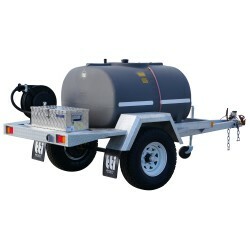 If your small truck or ute is already filled to capacity with other work equipment and you simply cannot fit another tank onboard, our range of trailers will give you the diesel storage and transportation capabilities you need to make your working or home life that much easier.